In news Zecharia Sitchin would surely have loved, a huge, distantly orbiting alien planet has caused researchers to rethink planet formation. 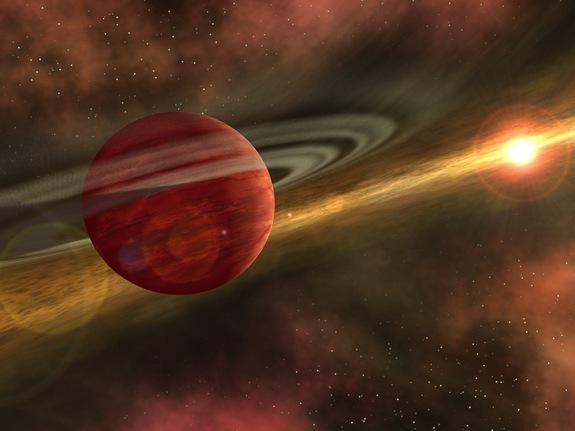 An artist’s conception of a young planet in a distant orbit around its host star. The star still harbors a debris disk, remnant material from star and planet formation, interior to the planet’s orbit. This entry was posted in Articles and tagged Astronomy, Scientific Debate, Space on December 11, 2013 by ZSI.